who have any kinds of vessels with the capacity of 1000 gross tons and over. Politics, Vol.10, No.1, pp. 1–18. Product at the Price, Lloyd's of London, London. Governance, Vol.10, No.3, pp. 261-278.
, Vol. 14, No.4, pp. 544 – 558. Maritime Policy and Management, Vol.30, No.1, pp.77–90. Management, Vol.31, No.1, pp. 31-45. 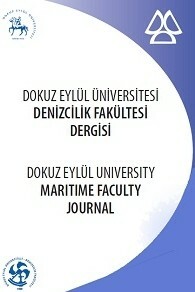 Management” , Marine Policy, Vol.28, No.4, pp. 325-333, July 2004. No. 2, pp. 111 – 125. No.1, pp. 45 – 64. Cases and Concepts, First Edition, Macmillan India Limited. Conference on Transport Research, Vol. 1, pp. 734–46. , Vol.16, No.4, pp. 293 – 303. A practical Guide, The Nautical Institute. UNCTAD (2010) Review of Maritime Transport.